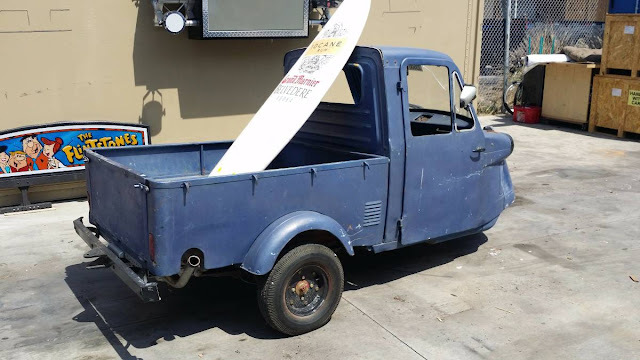 The Daihatsu Midget might have not been the first motorscooter based three-wheeler (that honor belongs probably the the Piaggio Ape), but the Midget was synonymous with the name Tuk-Tuk all over Southeast Asia starting in the late 1950s. 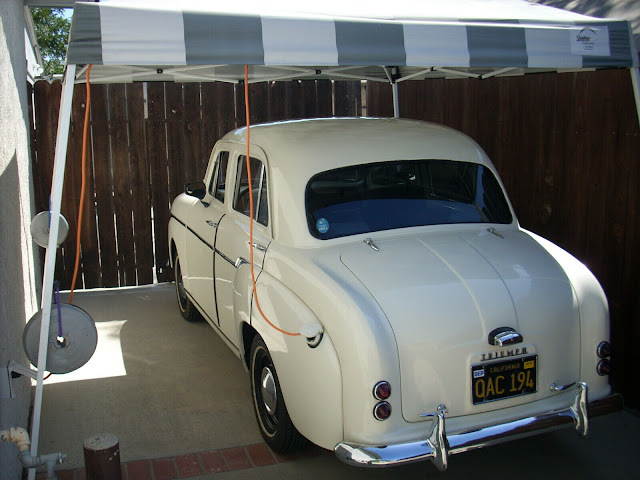 For whatever reason, they never caught on over here in North America (aside from large companies like Boeing and Lockheed using them for inner plant transport), but that shouldn't stop you from having one in your garage for an inner city commuter. 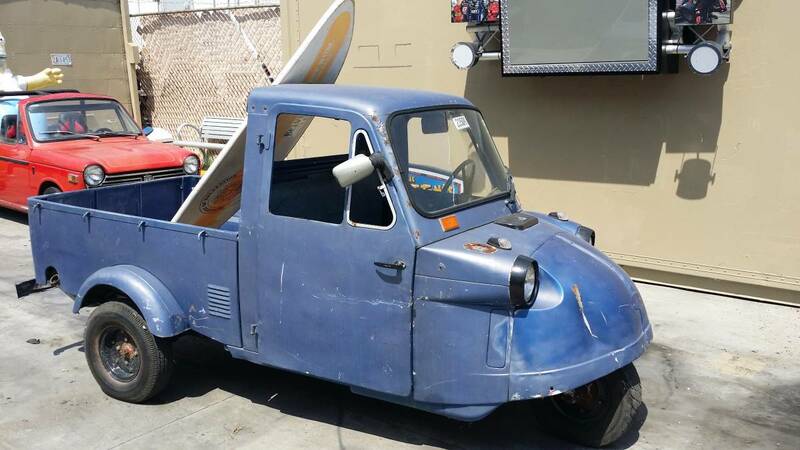 Find this 1959 Daihatsu Midget Tri-Mobile offered for $2,500 in Hawthorne, CA via craigslist. Tip from FuelTruck. The Midget is powered by a 250cc single cylinder 2-stroke that puts out 10 horsepower. There is only seating for two people in this pickup truck variant, but you can drop all kinds of junk in the bed and still get 50 miles per gallon. Take that Prius!! 50 mpg don't think so my 250 Suzuki 2 sickle only get's high 30's they be thirsty.....!